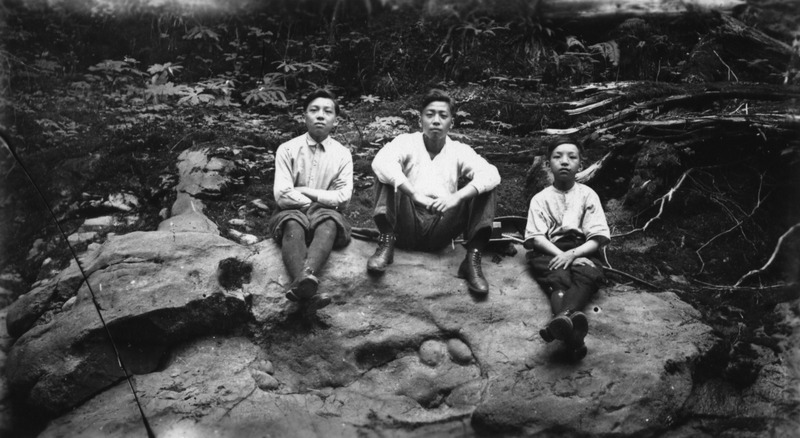 The people identified in this photo are: Harold Lim, Clifford Lowe, and Philip Lowe. The location of this photo is likely China Creek. Pre 1929.